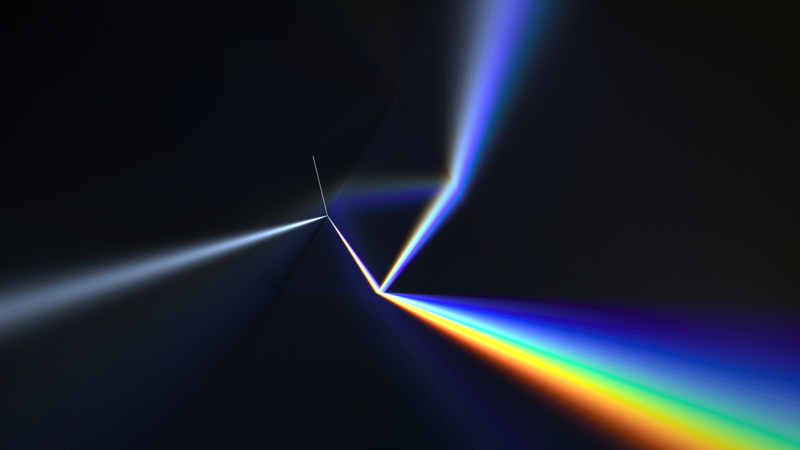 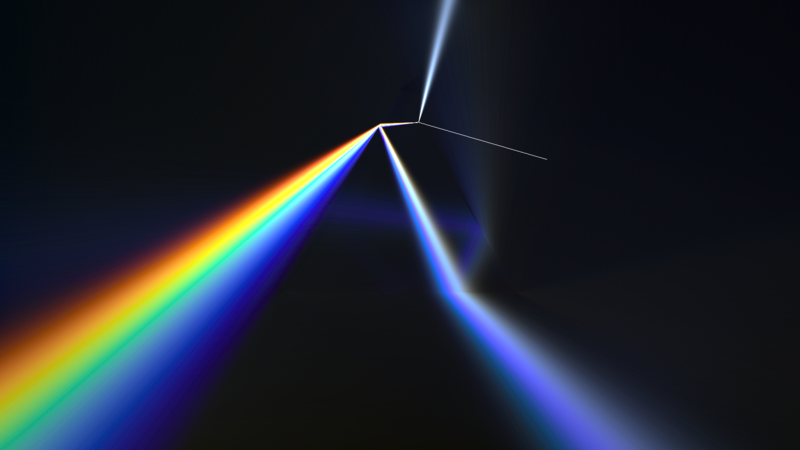 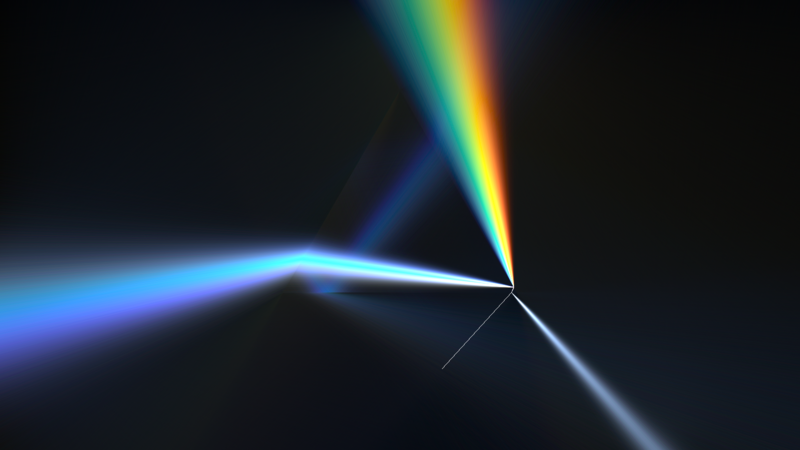 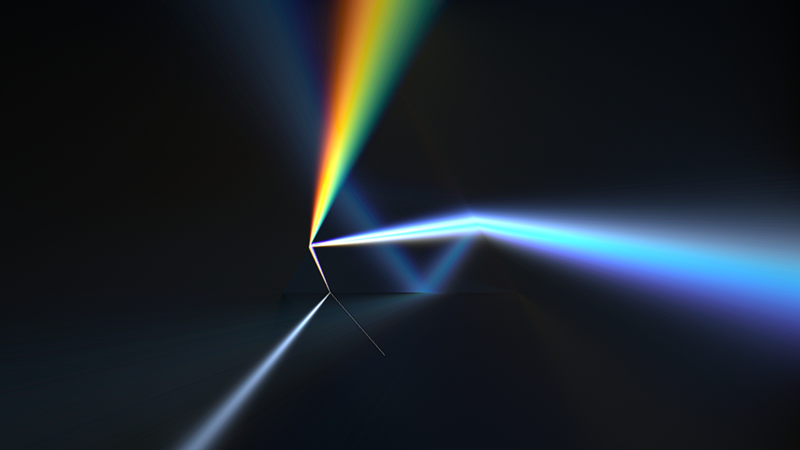 Variations on light refraction patterns through a prism, in a set-up reminding on the iconic cover of Pink Floyd´s 1973 album "The Dark Side of the Moon", designed by Hipgnosis. 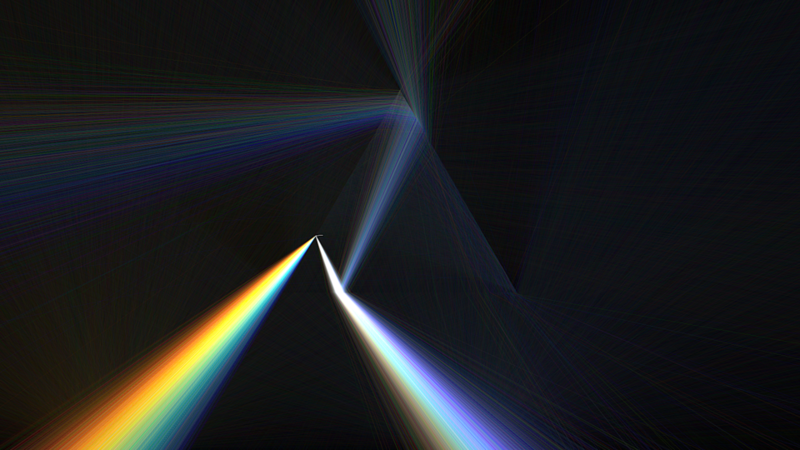 Variations on light sources and positions result in different refraction patterns. 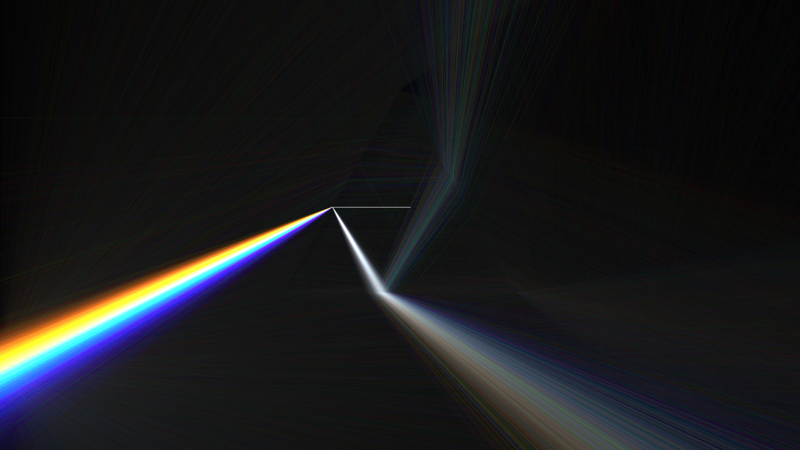 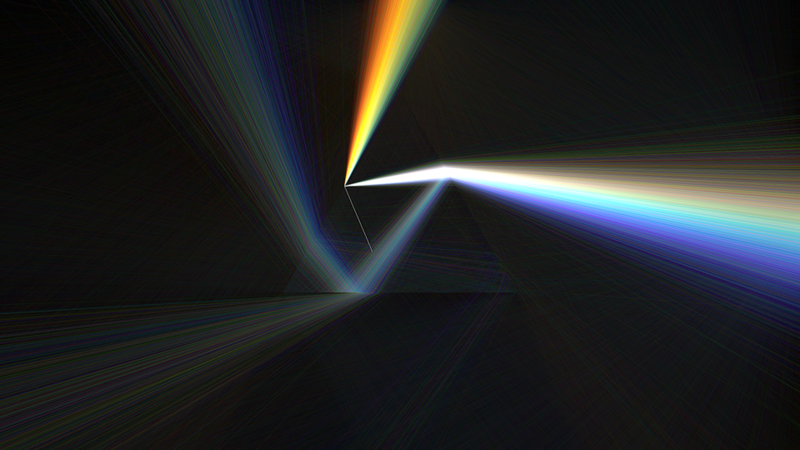 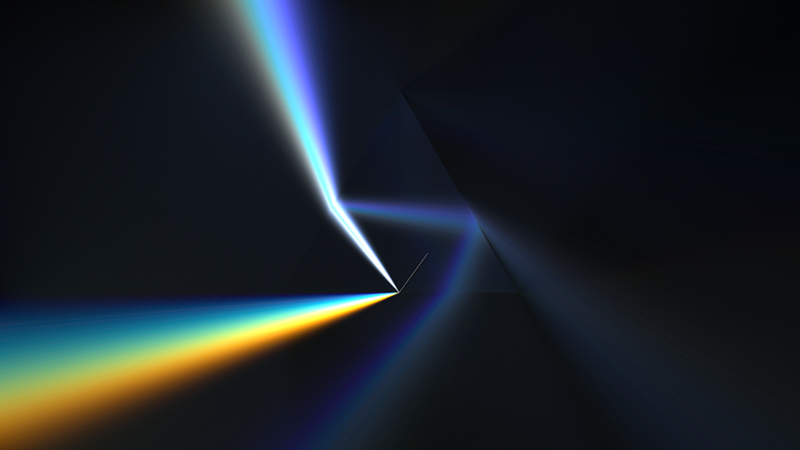 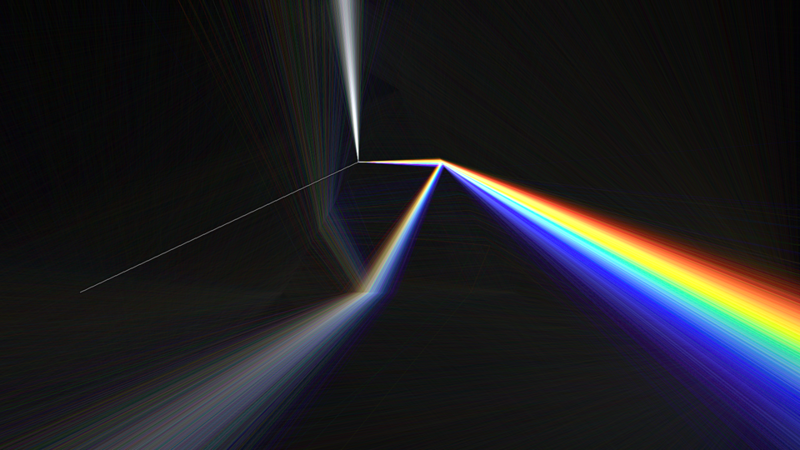 The photon paths and resulting color effects are calculated and rendered physically correct.